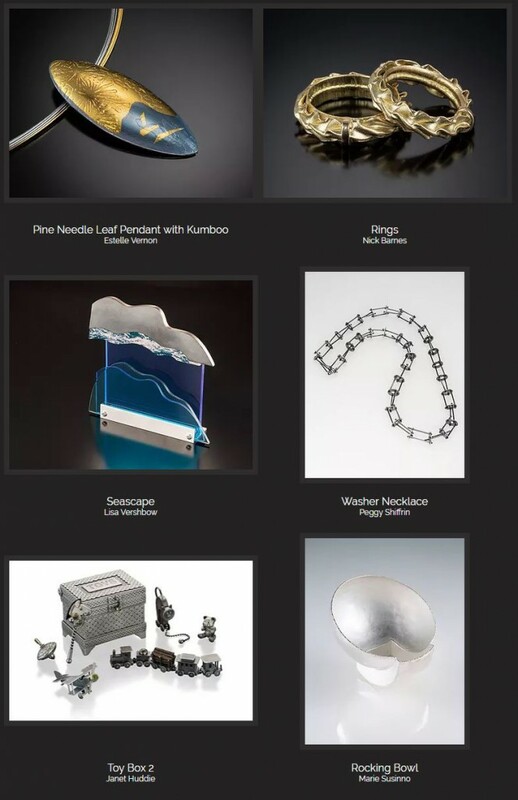 METALWORK 2018 is the 18th biennial juried exhibition and sale of WGG Members’ work will be held at Waverly Street Gallery in Bethesda, MD From November 7th to November 30th, 2018. Please scroll down to see the ‘LINKED 2018’ info and image. 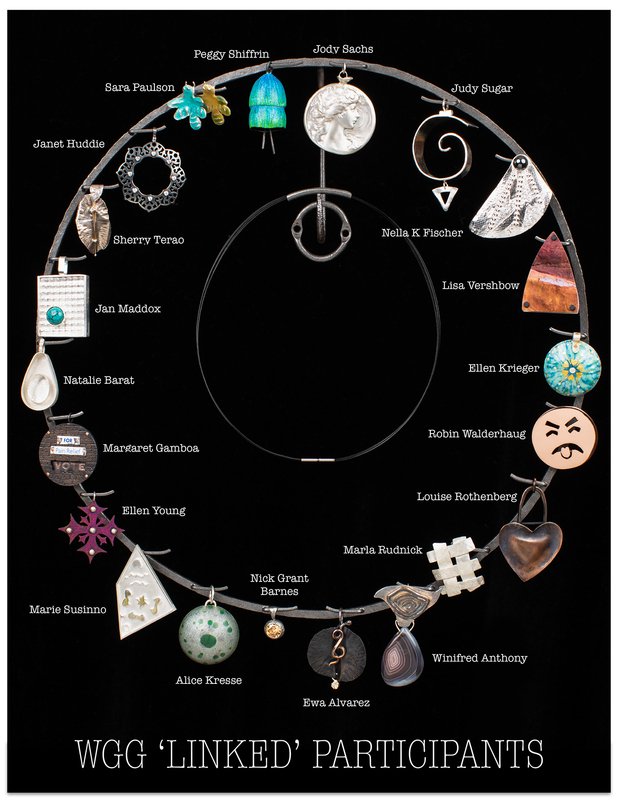 metal smithing, jewelry design, and related arts. for its members and the public. were asked to contribute a personal piece of their creation to become a part of a ‘linked’ necklace. and to our very generous patron who won the final bid. We all started somewhere on this journey as creators; sometimes using very basic tools and materials to hone our skills, and the members of the WGG see an importance in encouraging, educating and exhibiting the new and future artisans of our field. This unique necklace is a narrative of the Guild’s past, present & future. can be a great success, setting a precedent for future educational endeavors, by telling its story and most importantly how it is helping the future of local metal smithing. The Guild is a cooperative association whose members’ skills, energy and enthusiasm promote its successful programs. We welcome new members who share our goals.